Shanti and her husband Lachu, at Ajanta Indian Restaurant in Berkeley, CA. I had no idea Shanti would be such a delicious student. I knew she was a delightful person. She played well and worked hard. When she and her duet partner, Bob, came through my door last fall I didn't know anything about the rest of her life. After judging a scholarship audition in Berkeley last Sunday, I made plans to meet Shanti and her husband, Lachu at their Indian restaurant Ajanta. Bob (her friend and duet partner) joined us for the most amazing dining experiences of my life. I'm a busy working mother. I don't get to eat out very often. If I do, it's usually a sandwich snagged at a neighborhood restaurant with a friend to break up my long days of working at home. Though everything was delicious, the most memorable morsels were the Tandoori Scallops, the Lamb Rib Chops - the best meat dish I've ever eaten, the Tandoori Portobello Mushrooms and the spectacular Kulfi which is a dessert is hard to describe. The best I can do is "Superior to ice cream and more complex than any sweet you've ever eaten." I came home with a few tasty bites that we couldn't quite finish. My daughter, Evie, ate a bite of the Eggplant I'd brought home and immediately threw her arms around me. "Mom," she said, " I LOVE your job!" The inside of Shanti's Spice Box. I bet you can smell the heavenly aromas from wherever you are. I came home with two other special treats. 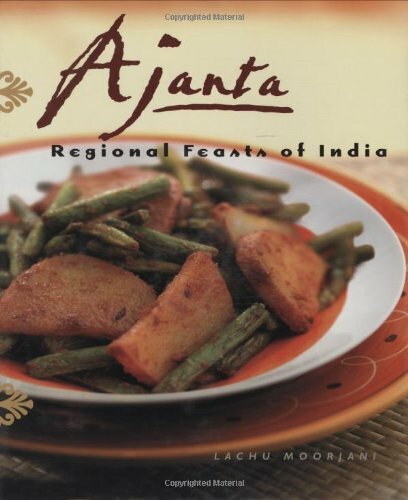 The Ajanta Cookbook which will allow us to make all of the dishes they make in the restaurant. It's beautiful, clear and inspiring. 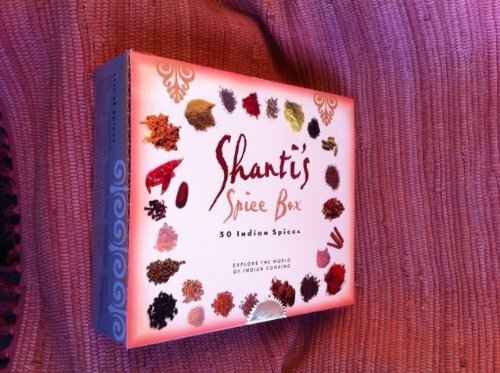 And almost more wonderful, Shanti's Spice Box. This splendidly designed collection (which won a design award and I can see why) contains each of the spices needed to cook everything in the book. They are carefully packaged in the proportions you'll need to do your cooking. The aroma of the spices themselves made me remember how valued spices were when they first became a part of trading. They're almost magical. Certainly powerful and desirable. For me, one of the greatest joys of my job is meeting and working with such fascinating people. Last Sunday's feast was pure unexpected pleasure. I never knew teaching could taste so good.